I LOVE the Feast of the Archangels. We’ve got a feast planned, but, I’m 38 weeks pregnant today on Michaelmas, so you never know if we’ll be having a Michaelmas Baby instead of a Michaelmas Feast. Just in case I go into labor and Michaelmas feasting gets skipped over this year, I thought I would compile some of the previous Michaelmas posts and some good resources I’ve found. 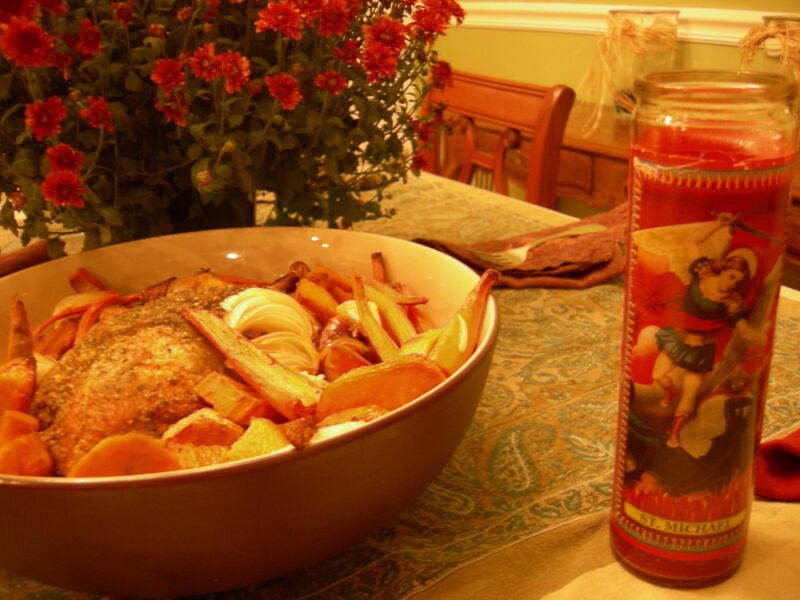 Michaelmas (pronounced Mickel-mas) is a feast day celebrating the Archangels. It follows the fall Ember Days (last Wednesday, Friday, and Saturday) during which Christians traditionally thanked God for his creation and the bounty of the earth and fasted penitentially. 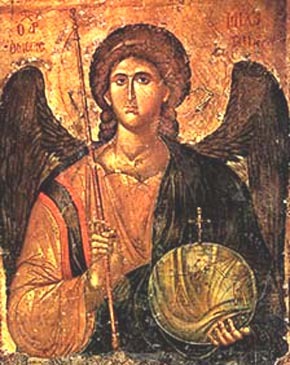 Michaelmas was a Holy Day of Obligation until the 18th century and honors St. Michael, St. Gabriel, and St. Raphael. My linguist husband particularly likes the name Michael which means in Hebrew “Who Is Like God?” and is the battle cry of the angels. St. Michael fought against Lucifer and the fallen angels and defended the friends of God. You probably remember that St. Gabriel announced the coming of Jesus to the Virgin Mary and also the coming of John the Baptist to Zachariah. St. Raphael is found in the book of Tobit. 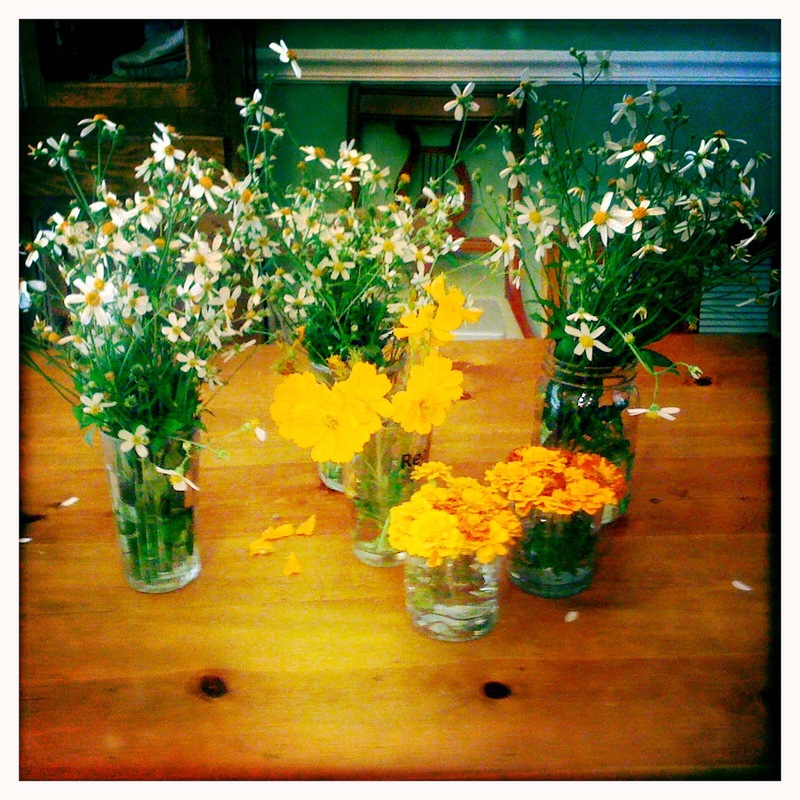 For a seasonal table for Michaelmas, think of autumnal foods. 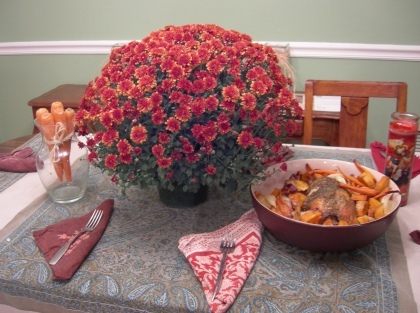 Usually our Michaelmas feast is full of beta-carotene. Carrots are very traditional. According to a Scottish custom, women would harvest wild carrots on Michaelmas by digging triangular holes with a three-pronged mattock. Apparently the holes represent St. Michael’s shield and the mattock represents his trident. 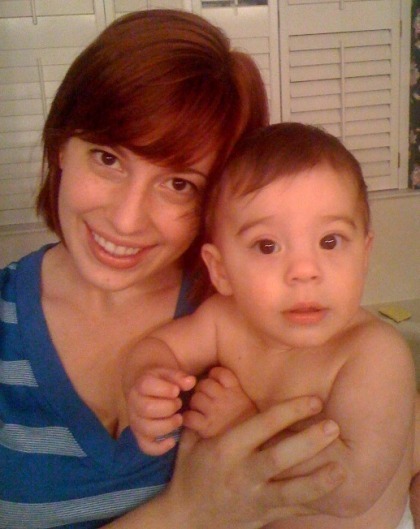 Terrible iPhone pic from 2009. My apologies. 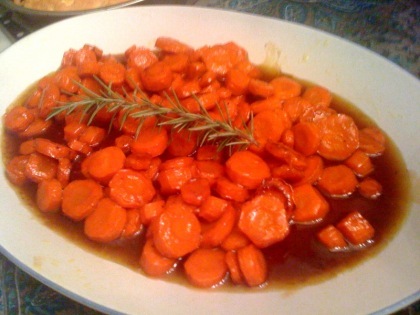 I love this Whiskey-Glazed Carrots recipe by The Pioneer Woman. I can’t help but love her. These are seriously amazing. Whiskey? Butter? Brown Sugar? Can you go wrong? St. Michael's Bannock on the left! Another traditional food is St. Michael’s Bannock, a simple, sweet bread. 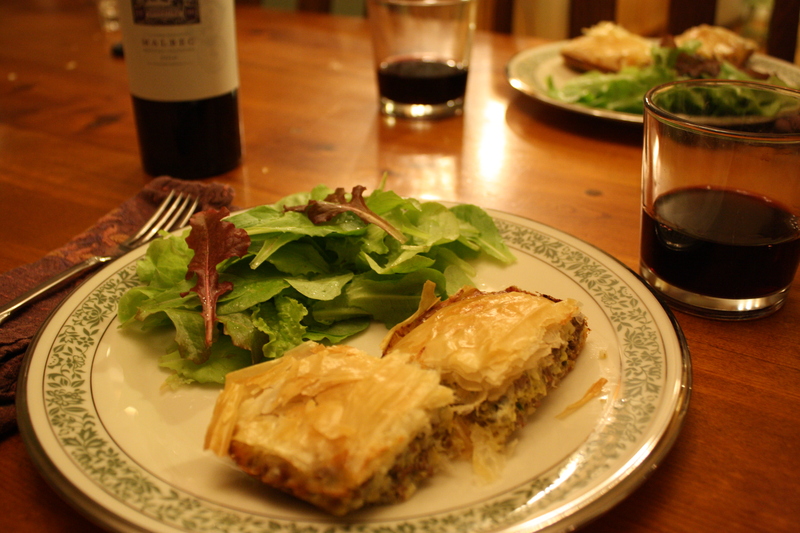 We’ve used the recipe from Meredith Gould’s The Catholic Home. It’s super easy and turns out well. Goose is also very traditional but we’ve discovered that it’s almost impossible to find an organic goose that’s remotely in our price range. So, we’ve cooked turkeys or chickens for the occasion. 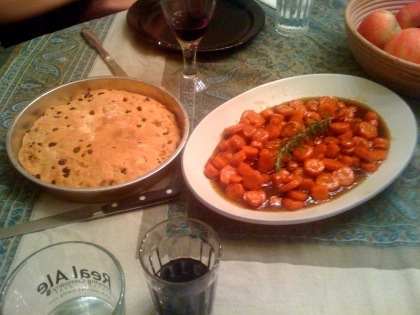 Last year we roasted sweet potatoes and onions with the chicken which turned out so yummy. This year we have tons of delicious sweet potatoes from the garden so we’ll definitely do a repeat! Blackberries: There’s a legend concerning Lucifer falling into a blackberry bush after being expelled from heaven by St. Michael and spitting on the blackberries to make them bitter so that they cannot be picked after Michaelmas. On Michaelmas Day the devil puts his foot on the blackberries. We’ve had blackberry buckle and blackberry cobbler but since they’re not in season right now in Florida, we try to just get organic frozen berries. 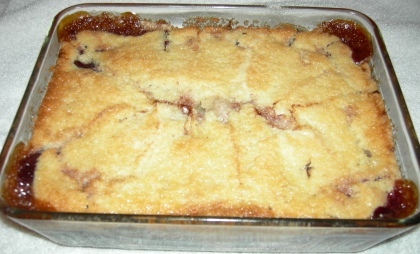 Ugly photo, delicious cobbler, promise! A super easy and yummy blackberry cobbler recipe is The Pioneer Woman’s. What a pretty sight to wake up to on Michaelmas morning! I can’t believe that two years ago, Benjamin was still a wee babe! Just look at my grown up boy on this Michaelmas morning! He’s still not into wearing pants, but my, he’s big and cute. I guess I look a little different this year, too. 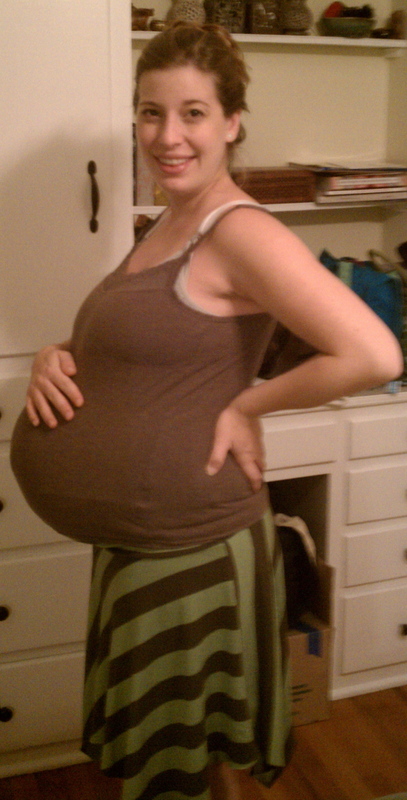 38 weeks and ready for Baby Lucy Elanor to arrive! Doesn’t a Michaelmas baby sound like a good idea?! C’mon, Lucy! Thanks sweet faithful readers for entering! What sort of giveaway would you want next time? Food related, like local honey or something? Christian year related like Advent candles? Books? Put in your two cents. I’m trying to start getting organized for Lucy’s arrival. 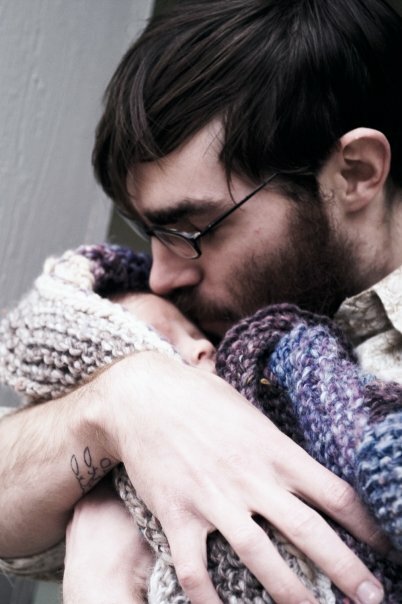 I wrote out our birth plan (I somehow lost the one from last time?) and made a list for our hospital bag. 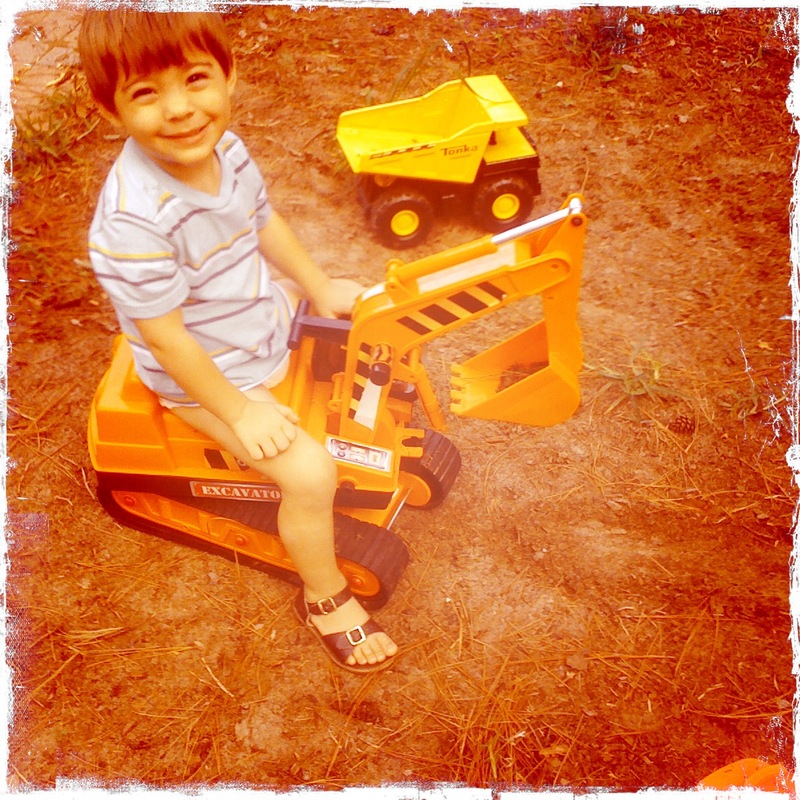 Daniel is making a beautiful changing table for her. 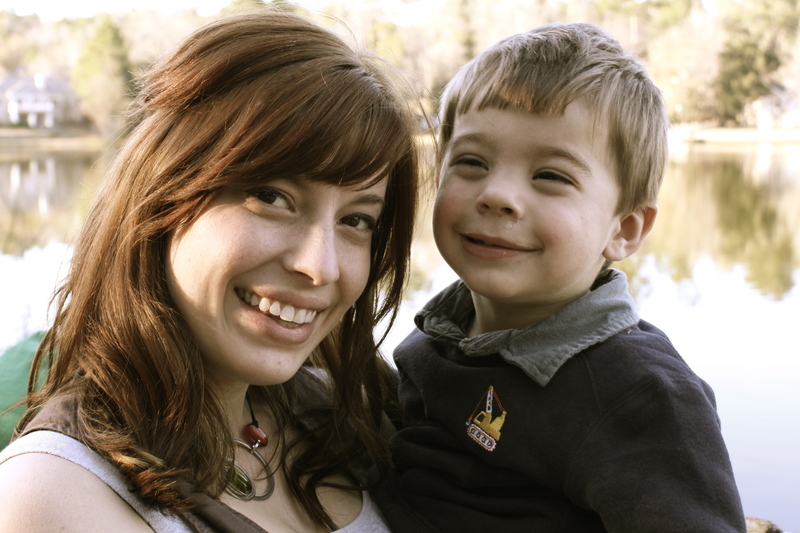 I need to organize the wonderful hand-me-down clothes we’ve been given (thanks, Jenna!) into sizes so I can go ahead and wash the 0-3 month stuff and have it ready for her. I’m full term in 2 and a half weeks so…we’re getting close. Any recommendations for hospital bag contents? 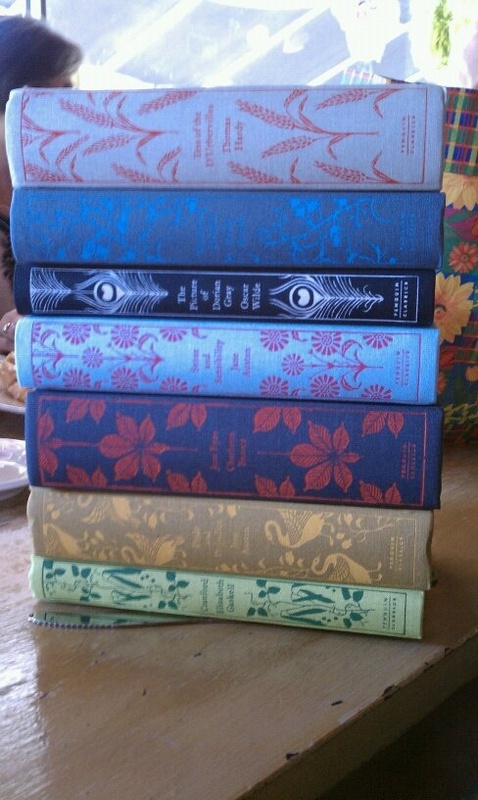 Anyhow, books. 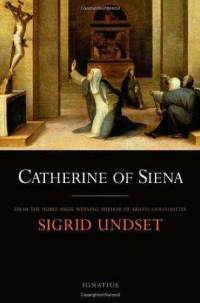 I finished Sigrid Undset’s Catherine of Siena and completely loved it. I wish there was a hagiography as wonderful for all the saints I want to learn about. Undset is a wonderful writer and a devout Catholic convert. The book is delightful and inspiring. Now I’m motivated to read the third book to finish the Kristin Lavransdatter saga, by Undset. Anybody have good recommendations about other books about saints? I absolutely LOVED Beth Ann Fennelly’s Great with Child that my new friend Helen gave to me. 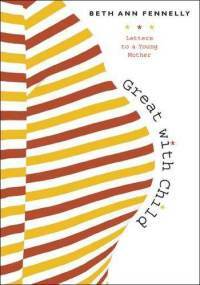 A beautiful poetic collection of letters from Fennelly to a young expectant mother full of breathtaking reflections on pregnancy, miscarriage, and motherhood. I suppose it shouldn’t be surprising that it’s so poetic since Fennelly is, well, a poet. Loved it, loved it, loved it and passed it on to a pregnant friend. 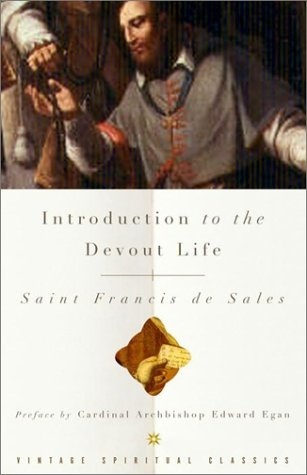 I started re-reading St. Francis de Sales Introduction to the Devout Life during my weekly Holy Hour (our parish has Perpetual Adoration and Daniel and I recently have entered into the grace of a weekly hour with Jesus). 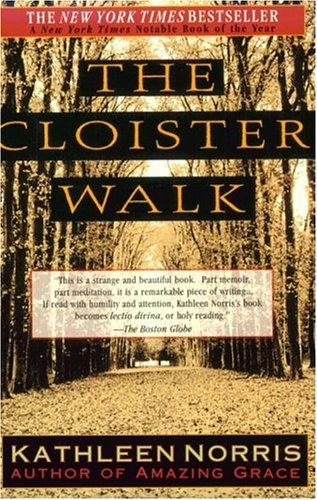 I haven’t read it since becoming Catholic and just read it for a college class maybe 5 years ago. It’s interesting to see the notes I wrote in the margins a couple of years before we even starting considering becoming Catholic. St. Francis de Sales starts out explaining how important the Sacrament of Reconciliation is and I must have been persuaded by him because I wrote: “GO TO CONFESSION” on one of the first pages. 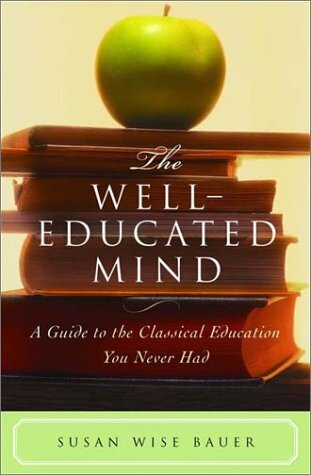 I started reading Susan Wise Bauer’s The Well-Educated Mind: A Guide to the Classical Education You Never Had. Although, I think my years in Baylor’s Great Texts and University Scholars programs were incredible and really gave me an amazing foundation, there’s so much more I want to read! Bauer starts the book explaining how to attempt tackling the great books outside of a classroom setting. I’ve read the beginning material and am ready to move into one of the “book list” sections. Bauer recommends starting with the list of novels but I’m going to start with the poetry section because I think that’s my weakest area. Who’s ready to tackle the Epic of Gilgamesh with me? Benjamin is suddenly very interested in “reading” not just being read to. He loves to tell you what letters comprise a word and there’s a few words that he’s starting to recognize like “truck” and “dog.” I’m just trying to let him take the lead on this and engage his little mind when he brings books to “read” to me. Since he’s so interested right now, I’ve considered exploring one letter a week and practicing recognizing it, writing it, and emphasizing words that start with it through food and animals, etc. Thoughts? Is he too young for that? I don’t want it to feel like work. 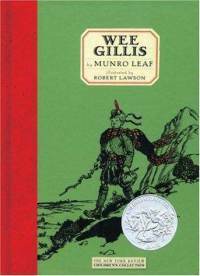 One of his all-time favorite books is Wee Gillis by Monro Leaf given to him by our dear friend Emily. It’s an older book but absolutely delightful about a little boy in Scotland. 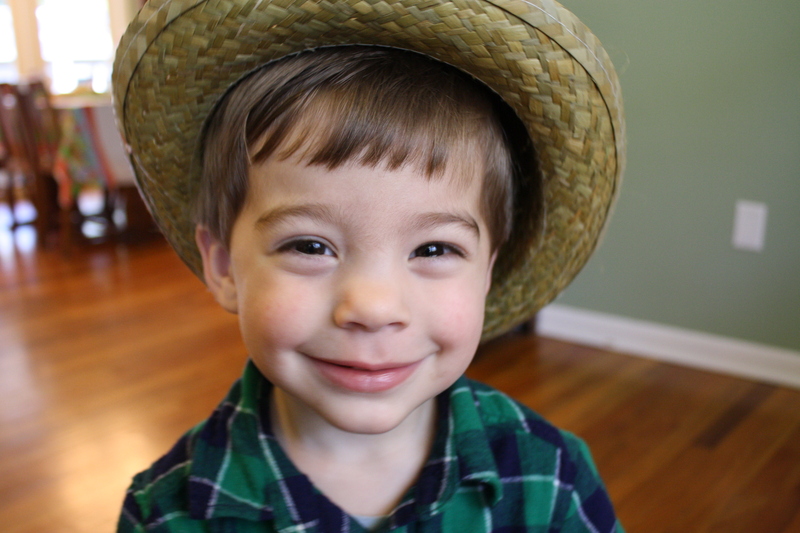 The boy’s full name is “Alastair Roderic Craigellachie Dalhousie Gowan Donnybristle Mac Mac” and Benjamin loves to say the whole name and then laugh hysterically. 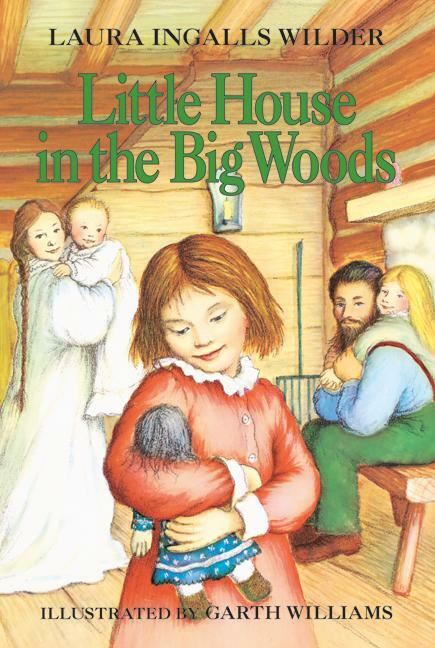 I also started reading a chapter book to him at night sometimes: Laura Ingalls Wilder’s Little House in the Big Woods. It’s not a girlie book, I promise! We’re three or four chapters in and most of it has been about Pa Ingalls smoking pork, making bullets, and shooting bears. Some nights he’s very interested other nights, not so much, so I’m giving it a rest for a month or so and we’ll give it a try then. I know it’s a stretch for a little guy but it has lots of pictures and he does talk about it often so I know he’s comprehending some of it. And now another recommendation but not a book. Just watched Return to Cranford this week which was delightful. 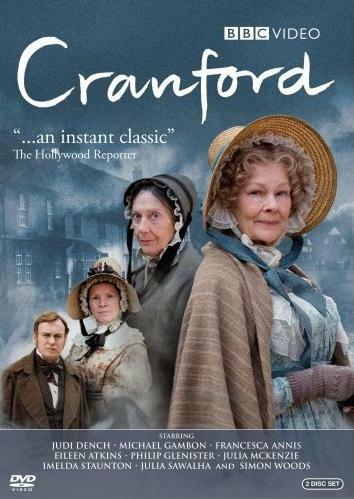 Cranford, the adaption of Elizabeth Gaskell stories is fantastic and if you love a good period miniseries, then this will be right up your alley. What’s your favorite miniseries? I watched North and South when I was in early labor with Benjamin and want something in that line to pass the time if early labor with Lucy. 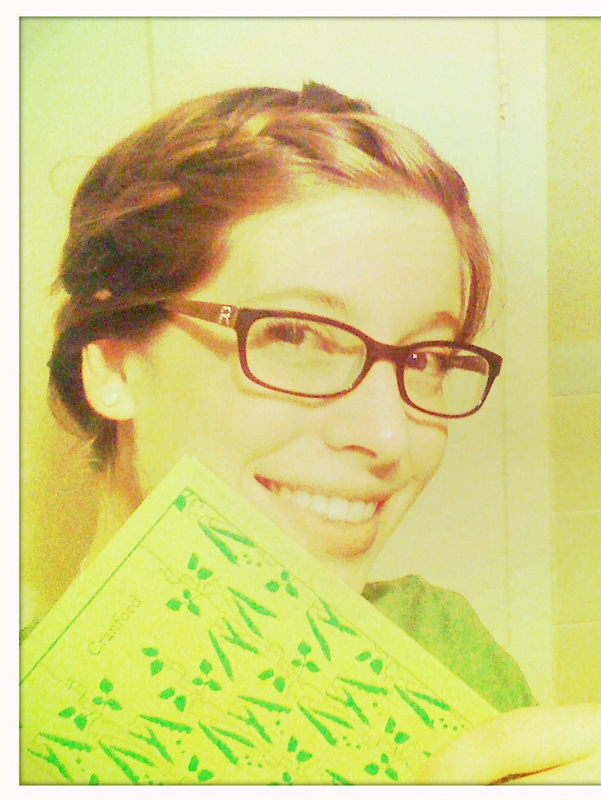 If you haven’t entered my GIVEAWAY (all-natural handmade goat’s milk soap! ), do it now! Giveaway closes tonight at midnight. C’mon guys, free soap! 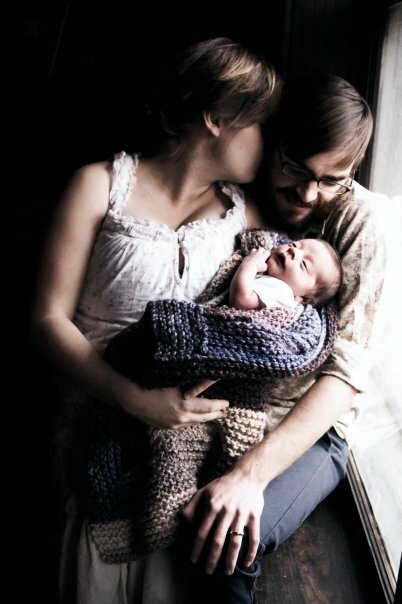 In other news, we still haven’t completely settled on a middle name for Lucy. Accepting suggestions now. I mentioned a couple of weeks ago that I wanted to have a Giveaway once the blog reached 10,000 hits which it has (yay!). I was having a hard time thinking of what I wanted to give away but finally settled on something everybody uses: SOAP. Maybe not the most exciting giveaway ever, but more exciting than stamps, right? And this isn’t just any soap, it’s fantastic all-natural handmade goat’s milk soap made by local Serenity Acres Farm in Rosemary-Clove Oatmeal scent. I bought some for us at the Lake Ella Farmer’s Market at the beginning of the summer and LOVED it. The scent is wonderful and it’s so moisturizing that I could use it to shave my legs. Serenity Acres Farm doesn’t know who I am, I just picked up a bar at the Farmer’s Market yesterday to say thanks to some faithful reader. So…to enter the giveaway, just leave a comment saying hello. To get TWO entries, subscribe to Carrots for Michaelmas by entering your email in the “Email Subscription” field on the left-hand side or by adding Carrots for Michaelmas to your RSS feed. Leave a second comment to let me know you’ve subscribed! I’ll use a random number generator to select a winner! Giveaway closes Saturday at midnight. Check back Sunday to see if you’ve won and be sure to leave your email so I have a way of contacting you and sending you your all-natural handmade goat’s milk soap!